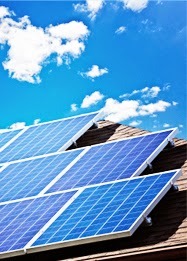 It takes 20-24 solar panels to meet the average household’s energy needs. Even if we wanted to try and produce our own electricity using solar, it would be hard to fit that many panels on a roof while at the same time getting good solar exposure for each panel. In addition, many of us live in apartments or condos or expect to move in the next few years and don’t want to invest in hardware that would be difficult to transport. Fortunately, there is a solution. 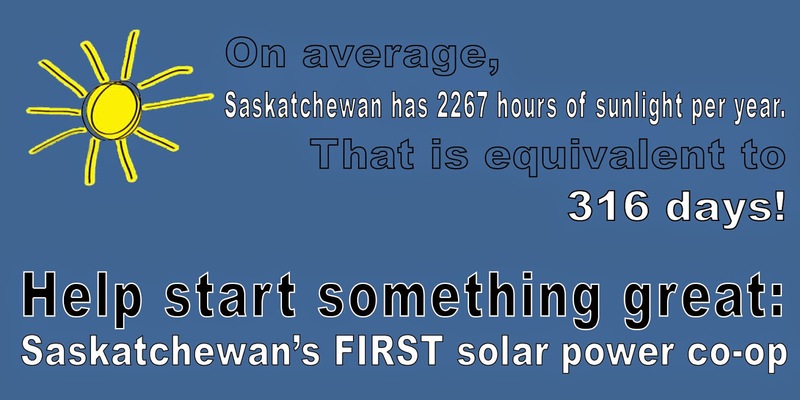 You can join Saskatoon’s first solar power co-operative, established by the Saskatchewan Environmental Society (SES). The board of directors of the Saskatchewan Environmental Society began to explore opportunities for establishing a solar power co-operative several years ago. Their timing was good as in the fall of 2014 Affinity Credit Union initiated a social venture challenge. 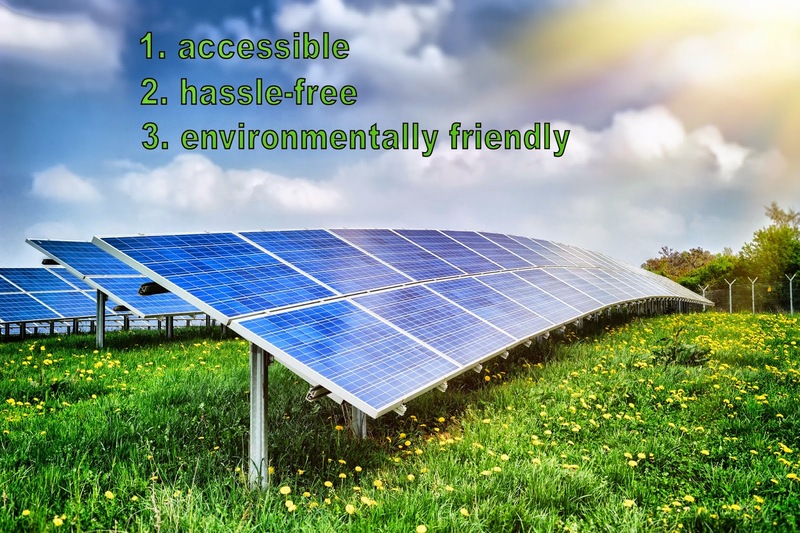 In establishing a solar co-operative, the Environmental Society had two goals. They wanted to create options for people who can’t undertake a full-scale solar installation. And they wanted to create a model that other groups could replicate. Their focus over the past few months has been on obtaining articles of incorporation, drafting a preliminary set of bylaws, and appointing an interim board of directors. Individuals become a member of the co-operative when they purchase a solar panel. This includes a common share that entitles them to vote. Members will also receive a preferred share based on the number of panels they’ve purchased, and the revenue from solar power generation will be distributed on the basis of how many panel equivalents you own. Members who choose to leave the co-operative can sell their common share and will receive a $50 refund. However, they’ll be responsible for transferring their solar panels (the preferred shares) to someone else. The board of directors will consist of 6-11 individuals, two of whom have been appointed by the SES. Unfortunately, obtaining a reasonable return on your solar power production isn't an easy task in Saskatchewan as there are very few policies in place to promote renewable energy production. For example, Saskatchewan doesn't have a feed-in tariff. 71 countries have established a feed-in tariff to encourage individuals, businesses, and co-operatives to establish renewable electricity installations. “This guarantees the installer that their electricity will be purchased and that the price they receive will reflect the cost of install and a slight profit,” Peter explains. Solar installations have thrived in Ontario because of the provincial government’s Feed-in Tariff program that offers very good rates for residential solar. If the SES Solar Co-op was building a solar power plant in Ontario, it would receive approximately 27 cents per kwh for the electricity that it generated. In contrast, in Saskatchewan, under SaskPower’s Small Power Producers Program, the Solar Co-op is only eligible to receive 10.4 cents per kwh and a 2% annual inflation adjustment. The Co-operative is exploring other options and possible partnerships in order to obtain a better rate of return. For instance, Saskatchewan’s Net Metering Program might provide a better rate of return if the Co-operative was able to partner with a larger energy consumer that could use the solar energy produced to offset their electricity bill. The Co-operative is looking for a site with very good solar availability (no significant shade issues) and with good public visibility so that people can drive by and see the panels. The solar array should also be close enough to Saskatoon to serve as a demonstration site for schools and other communities. They want to secure a 25-30 year lease on the land in order to eliminate uncertainty about the length of the project. “We’re not going to compromise on the environmental soundness of the panels,” Peter says. The Co-operative is looking for panels that can be recycled and that have been manufactured in an environmentally friendly way involving only the smallest possible amounts of fluorinated gases. The Co-operative is currently selling panels for $900-$1000, which is comparable to the current market price. They hope that a bulk purchase of panels will result in some savings, but the bigger install will incur additional expense from hooking up to the grid, security, and land leasing. Snow removal can be an issue in Saskatchewan. The Co-operative has not yet decided whether they will install the panels at a 60 degree angle so that the snow falls off or make arrangements to clear the snow. The Co-operative is currently considering both fixed panels and some that could be seasonally adjusted to the sun’s position. “We will have to balance the extra expense of purchasing seasonally adjusted panels with the benefits from the extra electricity they could produce,” Peter explains. Solar panels will be on sale again soon. Contact the Saskatchewan Environmental Society (306-665-1915, solarcoop@environmentalsociety.ca) or Peter Prebble (peterp@environmentalsociety.ca) if you are interested in purchasing a panel and joining the Solar Power Co-operative.